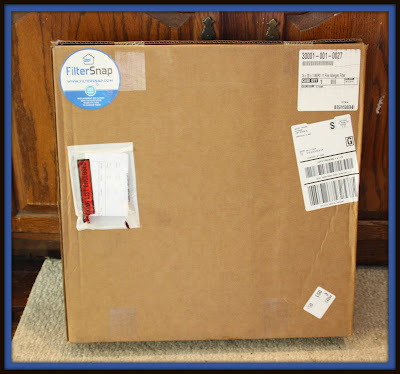 mommy's reviews: FilterSnap: Delivering Air Filters to Your Door! Last summer, I was pregnant with my fourth baby and boy was it a good summer to have central air installed. Our old house had central air and we were a bit spoiled. Then, we moved into our new house and alas...no central air. So, we compiled a list of projects and things that we wanted to accomplish and central air conditioning was on the top of that list. We saved and planned and as soon as the weather turned nice, we had it installed. For some reason though, we have never been good at changing the air filters in the furnace and as everyone knows, the air for the central air passes through the furnace blower. So, when our new central air was installed, the technicians showed me the old filter and suggested that it be replaced. 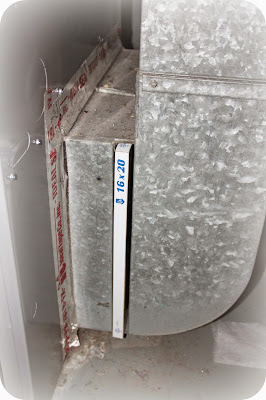 I could not believe the dirt and crud that was coating and hanging off that old filter. And when I thought about all that dirt being blown through my home...yuck! It was absolutely NASTY! Ever since then, I have been vigilant to replace the air filters and it is always amazing to me how dirty they can get. If you are anything like us, you know that you are supposed to change the air filters in your home on a regular basis-- ideally at least every three months. This sounds easy, all you need to do is pick up replacements at the store. Then you find yourself standing in the local home improvement store staring at an entire aisle of air filters. Who knew there were so many sizes, shapes and quality choices for something as simple as an air filter? There has to be an easier way! There is! We call it FilterSnap. Simply tell us what filters you need, and how often you would like to replace them. We will ship you the exact filters you need, when it is time to replace them. No need to remember, or take trips to the store-- we've got you covered. I never heard of this company until recently and was thrilled for the opportunity to check them out and share them with all of you. So, for this review I was sent a filter from FilterSnap. This box was delivered to my doorstep by my postal delivery worker, along with my daily mail. I wasn't sure how it would be shipped (UPS, FedEx, etc.) so knowing that it came with my regular mail was nice. I was sent the standard filter, which can handle the big stuff along with smaller particles. So if you have smokers, multiple pets or family members with allergies, this would be the filter for you. As you can see, it looks pretty basic and not too fancy. 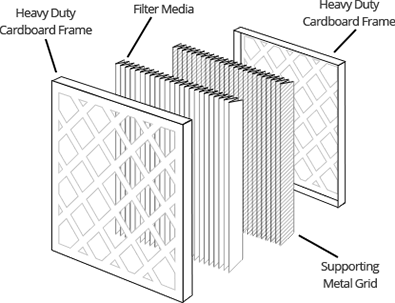 FilterSnap Filters are designed with a quality, heavy duty frame and more pleats, which will help to catch more dirt, dust and particles. Knowing that the air quality in your home is clean means so much. I cannot stand thinking about all the dust that we inhale on a daily basis. This is especially important for those months when the house is closed up because of either winter weather or hot weather when the air conditioning is running. I also think it is important to have a good filter for even when the windows are open...all the pollen and dust coming in from outside can also have an effect on the indoor air quality. I was able to replace my current air filter with the one from FilterSnap and it was super easy! Just pull out the old filter and pop in the new one. You do need to send FilterSnap the dimensions of your current filter and they will then send you the correct size. This subscription service can be set up based on your personal wants and needs. Your filters can be delivered in monthly increments of your choice (1, 2, 3, 6 or 12) and the price varies depending on which filter you want. They also offer free shipping. Woo hoo! There are three filters from which you can choose, depending on how fine the filtration is. Awesome. Another nice thing to note about FilterSnap is that they have a 100% satisfaction guarantee. If you aren't satisfied, they will do what it takes to make you happy. I love that. So, whether you are getting your home ready for the central air to be turned on, or for the furnace to be started up for the winter months, you can have to-your-door filter delivery service from FilterSnap! 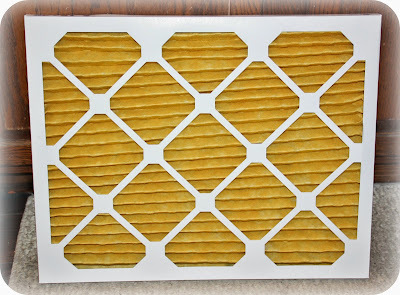 Never miss the recommended filter change again and keep your home's air fresh and clean. Disclaimer: I received no monetary compensation for this post. I did receive free products for review purposes. All quotes and stock photos are from the sponsor's website and email. This blog is not responsible for lost, stolen or damaged prizes. All thoughts and opinions are 100% mine.